Have you ever walked by a house with gorgeous window box planters filled with cheery colorful flowers that instantly made you happy? Here are some examples! The window boxes serve a dual function of allowing your plants and flowers to get some sun while also improving the aesthetic of your space. 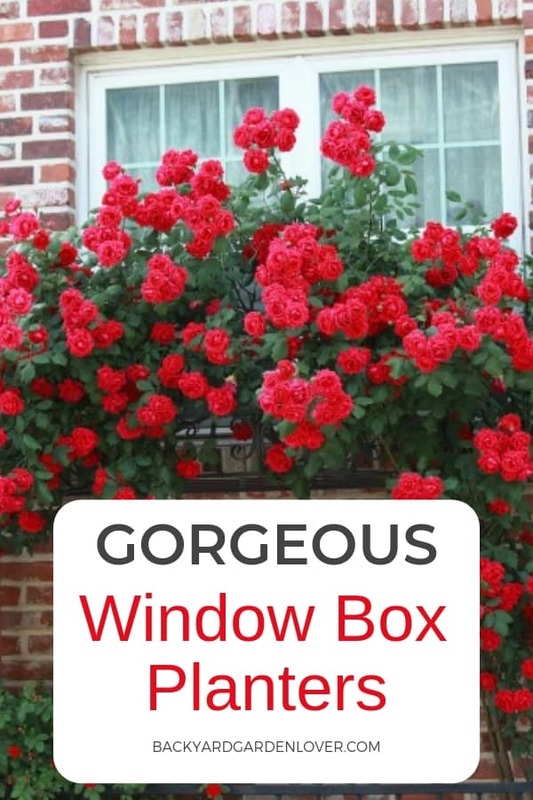 If you truly want your plants and flowers to pop, consider displaying them in a window box. 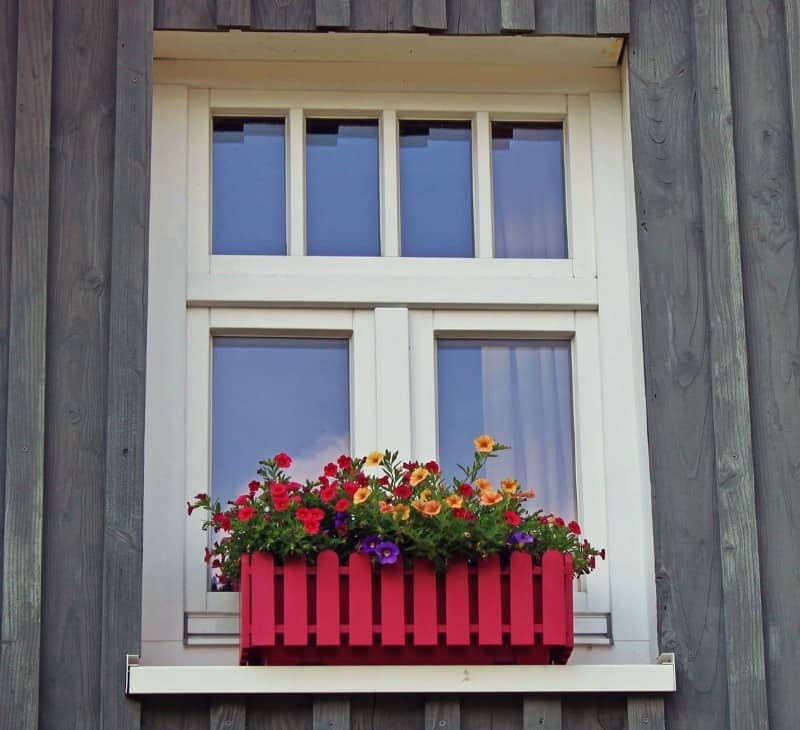 Let’s look at the types of window boxes and the different options you have available to use in your home. I hope that you will take some inspiration from the examples below and experiment adding some colorful planters to your windows! 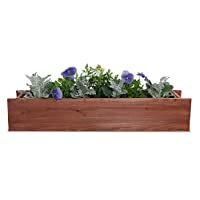 Whether you are looking for indoor planters or outdoor planters, there are a plethora of window boxes to choose from. They come in many different materials and colors, so you’re sure to find something to suit every taste and style. 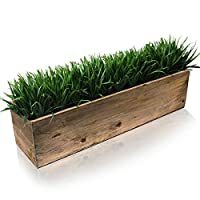 This is a fantastic way to add some greenery to your home without taking up a lot of space. 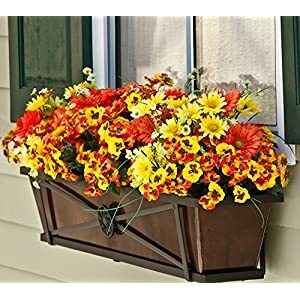 If you have a small space, live in an apartment, or just want to keep your flowers and plants off the floor, window boxes and planters offer a great solution. 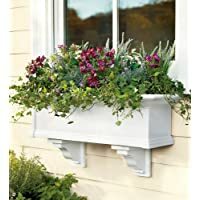 These window box planters will give your home more curb appeal and they serve a valuable function of holding your plants. Letting them sit on the floor can damage your floors over time, and it also means you don’t get to show them off as well as you could if they were in a pretty planter. 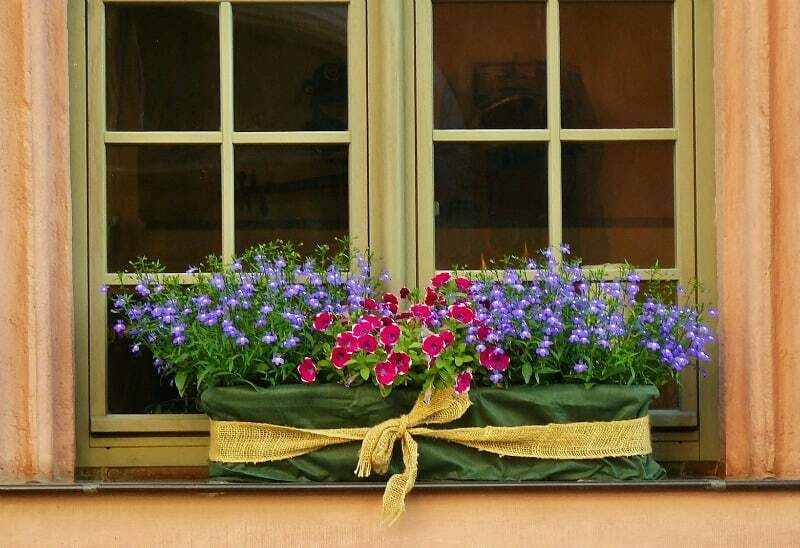 If you’re looking for a traditional style, wood window box planters may do the trick. They are easy to use, fun to display, come in a variety of colors or just wood shades, and you can always paint them if you want to give them a different look. 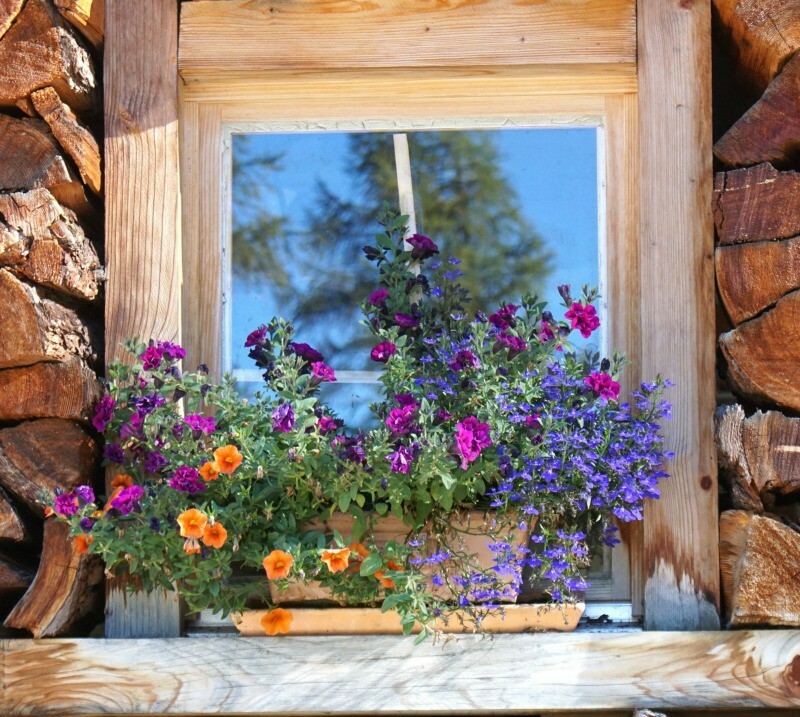 Some people love to keep their wooden window boxes in a natural wood look. 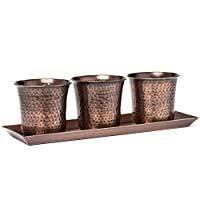 It may go with your decor, or give a rustic look to your plants and the outdoor of your home as well. 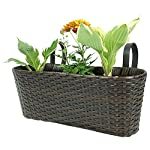 There is something very traditional and earthy about them and this appeals to a lot of gardeners and home owners. With self watering window box planters, you get the best of both worlds – self watering planters AND window boxes to display them in. 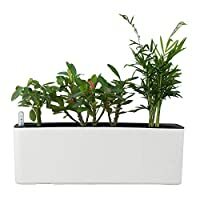 This is a winning choice for people who may forget to water their plants regularly or for people who have to take frequent trips and may not be at home to water every day. 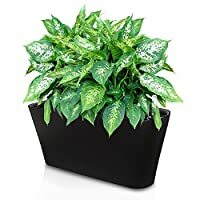 If you’re not always the best at remembering to water your plants, these will save you time and heartache over dying plants. 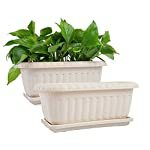 Not only are they convenient, self watering box planters look really nice. They come in a variety of elegant designs for you to choose from and they always look great in the window. This is a perfect position for your plants that are good with direct sunlight if you’re going to be out of town, too. You just pop them in the window and let them get their sun and water while you’re away. Plastic window box planters are another great option. They give you affordable options that work just as well as other materials. 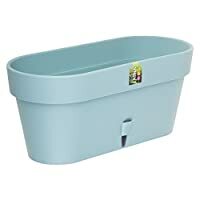 Plastic planters are also easier for certain people to maneuver. Plastic doesn’t have to mean low quality. In fact, it’s quite the opposite with many of these designs. 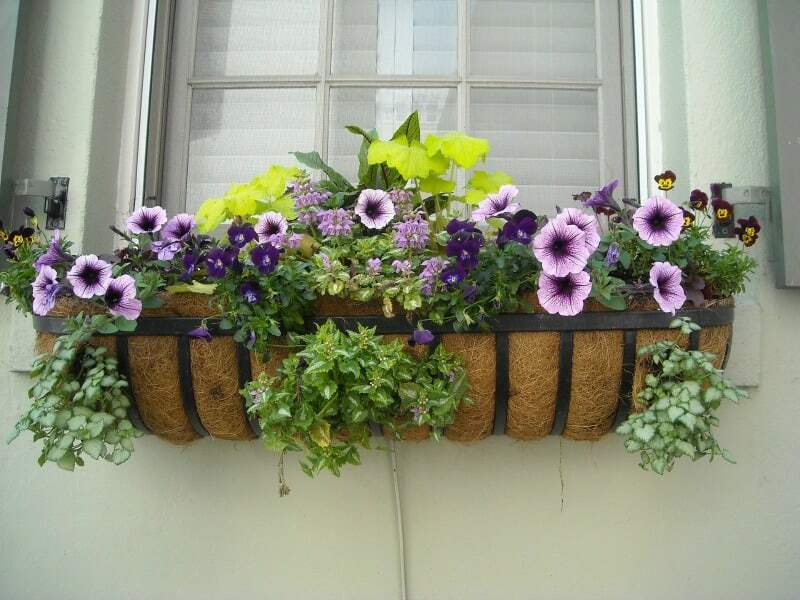 There are things that can be done with plastic window boxes that you can’t always do with other types of box planters. They are also lighter so they work in windows that might be damaged by heavier window box planters. This is also a good option for the gardener who has health conditions that make lifting heavier boxes difficult. 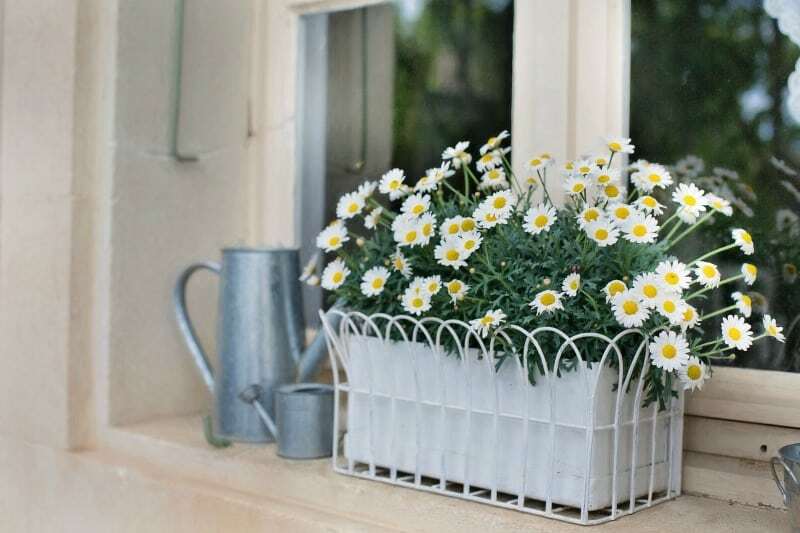 Another option for plant lovers is metal window box planters. If you choose this type, you will find a lot of different designs and elements. As you can see from some of them below, they can add a nice touch to the appearance of your home. If the windows you put them in are overlooking your garden and you have wrought iron or metal elements in your garden, this can help bring them out as well. 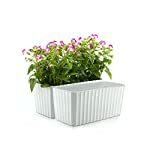 You can use some metal window box planters with plastic planters as well. 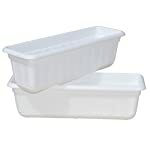 They are made to allow you to fit the plastic planters inside the metal ones. The metal ones can stay as a more permanent fixture and the plastic ones can be changed out for different decorations. If you like a more versatile approach, this is one option you should consider. A lot of people think the look of metal window boxes is very classic. It never goes out of style so it’s a great investment. Black is such a nice, versatile color, that it’s easy to see why it is so popular. It truly stands the test of time and is a classic. 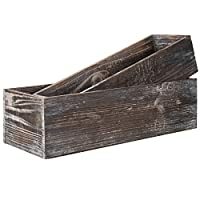 There are different styles in black planters. 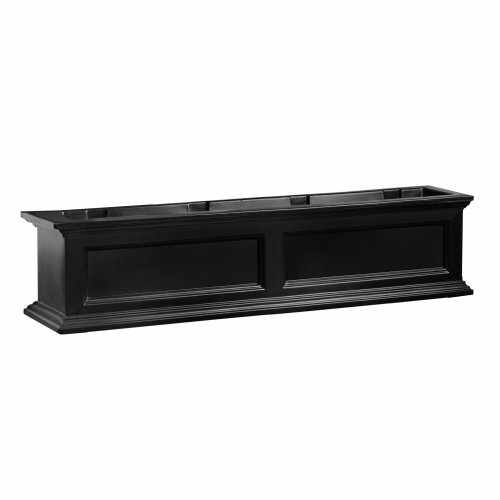 You can get black window boxes made from different materials too, like plastic, metal, and wood. This versatility is another reason that black is such a popular choice. Really, they last forever, they don’t show dirt easily, and you can put any type of plant or flower in them and they look good. These planters take the idea of window planters and indoor plants and merge them. They come in many different styles and colors and they look great. You can just put them in the windowsill, rather than hanging them outside the window. The plants get sunlight, but you can also move them. This is very useful for plants that cannot get direct sunlight every day. Indoor window box planters give you an alternative look for your plants. Put them in the window for sunlight, and move them when needed. Some people also like to use indoor window boxes for plants that they move around in their home. 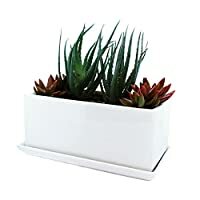 Succulents for example, look really nice in one of these planters. You get more flexibility with movement than you will with outdoor planters. Here are some of my favorite ideas: use them to create the look YOU want. 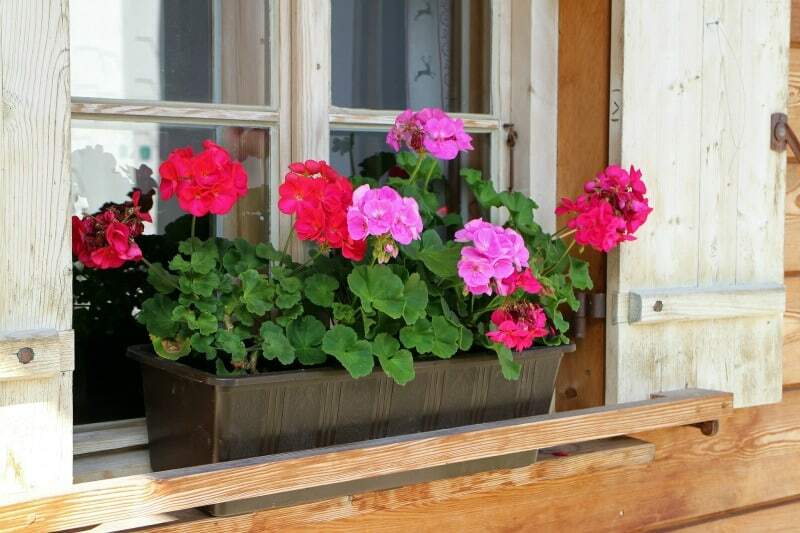 This planter with beautiful, colorful flowers looks great in the window. 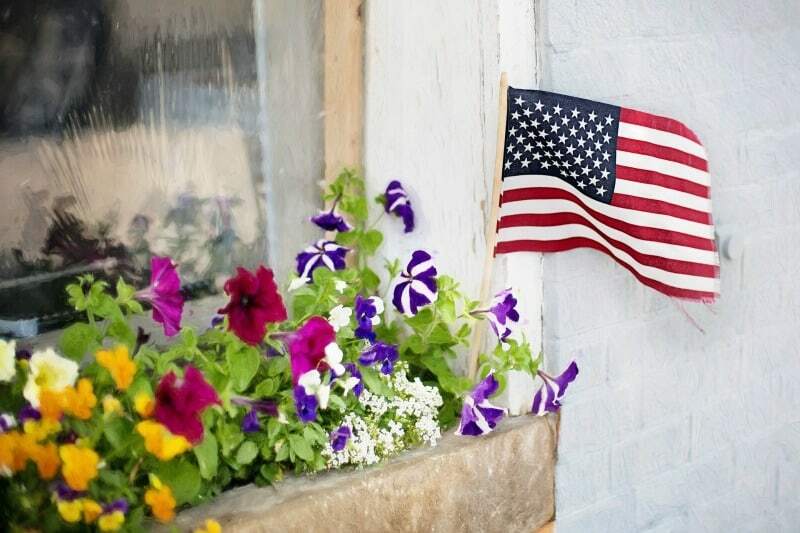 It’s bright and cheery, and the American flag helps brighten it up even more. What a great idea for a window! Here we have a great classic look. The red wood planter really pops and adds awesome curb appeal to the home. You’d have no trouble spotting this from the road: so pretty! It has a farmhouse feel to it and the flowers really stand out: especially the red that complements the color of the planter. It brings the whole house to life. A simple plastic-looking window box that gets the job done. It doesn’t distract from the gorgeous flowers in it and makes the whole window brighter. This is a very easy, affordable setup and you can change out the flowers with the seasons. A very simple fabric covered box paired up with beautiful flowers that really brighten up the entire look of the home and the window itself. It makes you feel right at home, and it brings a smile to your face and love in your heart when you see it. These flowers really remind me of Spring. What a cute outdoor window display! Using a metal frame and some amazing flowers and vines, it’s a unique, natural look like you’d see these growing on some fencing or by a tree. They are sure to brighten any home’s exterior. Are you ready to add some color to your windows? 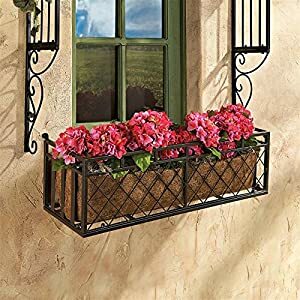 If you’re ready for a great place to display your plants and flowers while also sprucing up your home, consider window box planters like these. There are so many shapes, styles, and colors that you are sure to find something you like. We’ve linked some of our favorites here for you to get you started. Enjoy!